I shared my fall decor home tour back in September. 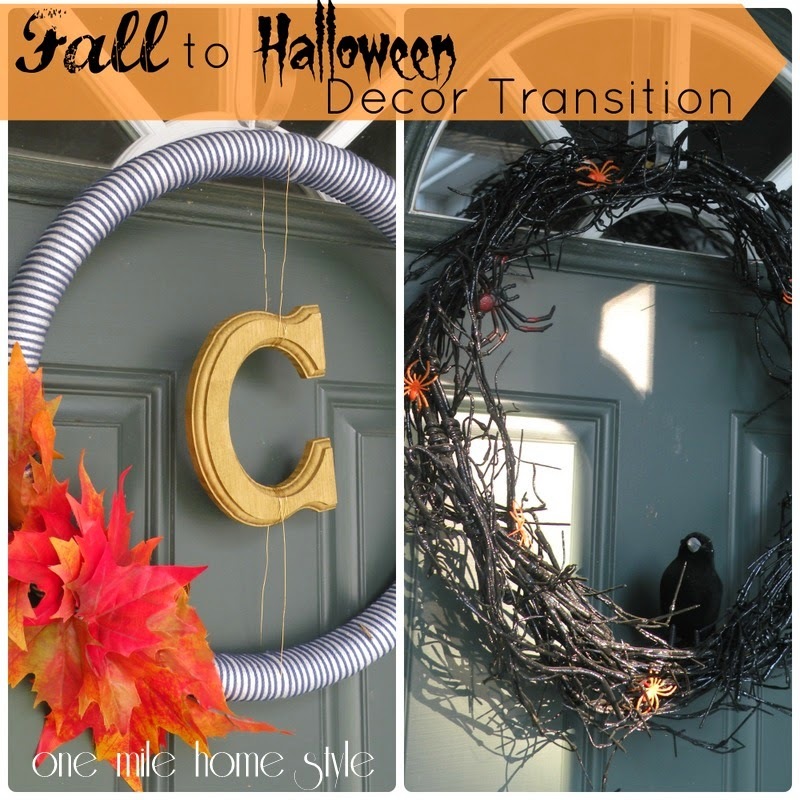 Now, I am here to show you how I am decorating for Halloween, and how I transition my decor. 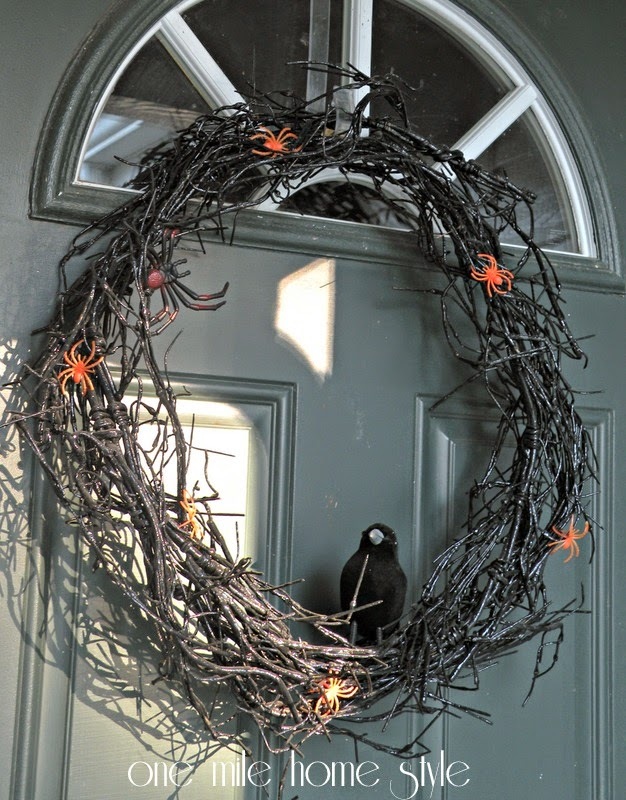 The first and easiest change I made was to switch out the simple fall wreath on the front door, to my more festive Spooky Halloween Wreath. 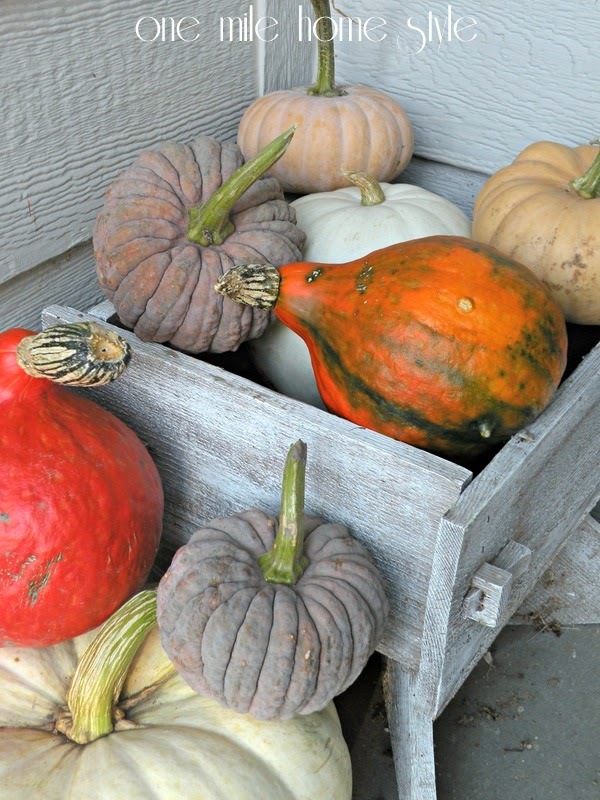 We also went to the pumpkin patch this past weekend, so now we have all sorts of pumpkins on display on our front porch. 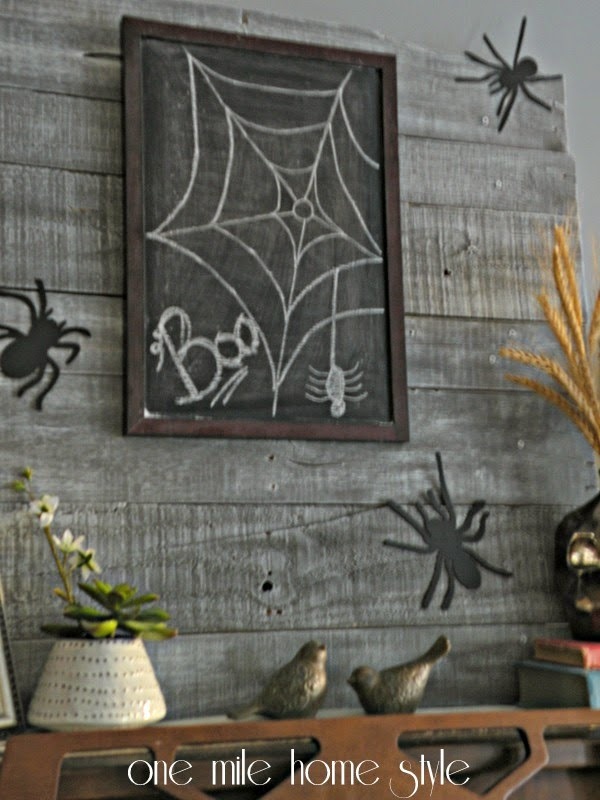 In my quest to stock up on discount supplies, I hit up Michael's after Halloween last year and picked up some pumpkins, spider cut-outs and spooky black fabric. The spiders are now climbing the walls. 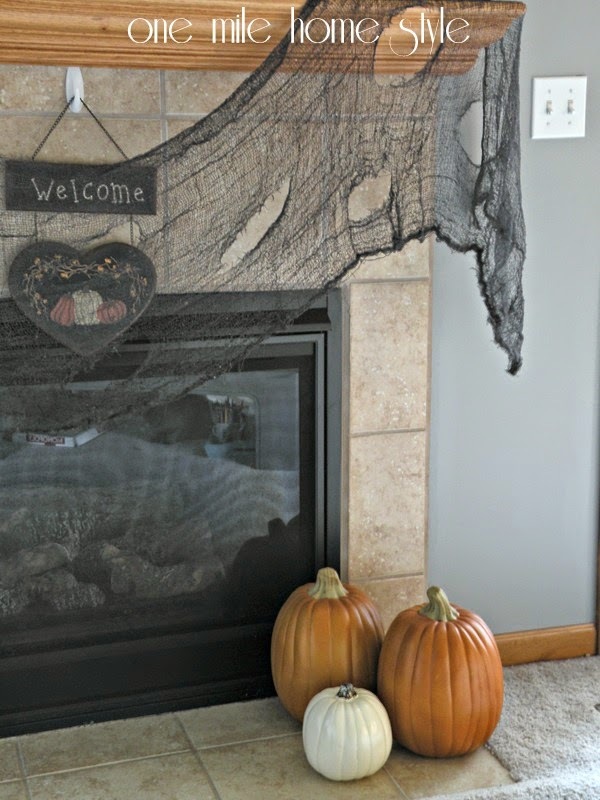 Spooky fabric is draped on the mantel. 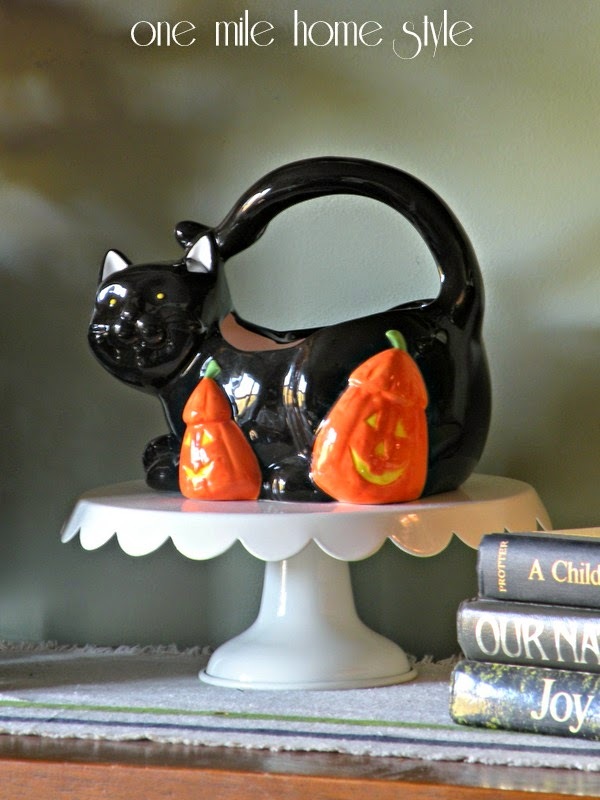 The black cat candy dish (the boys' favorite Halloween decoration) has replaced the crystal candy dish, and is full of treats. 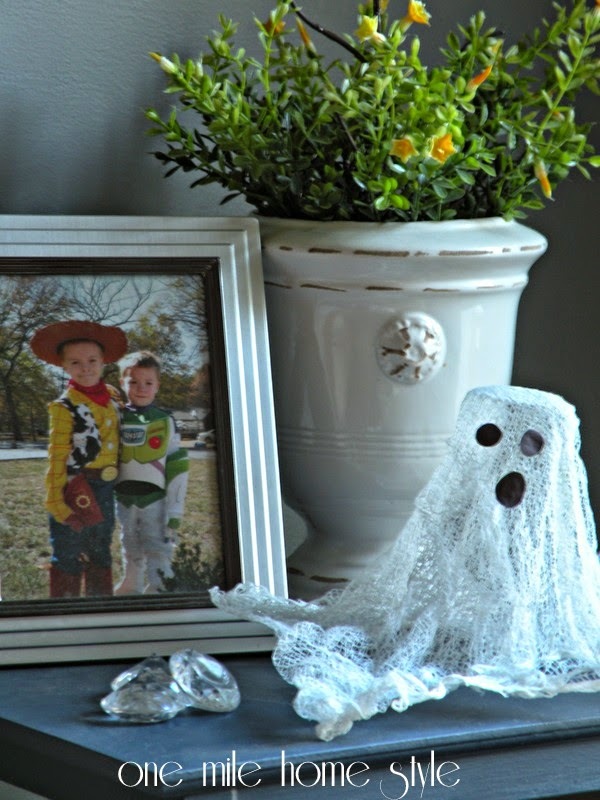 And our friendly ghosts are out and about too, right next to a favorite Halloween picture of the boys. 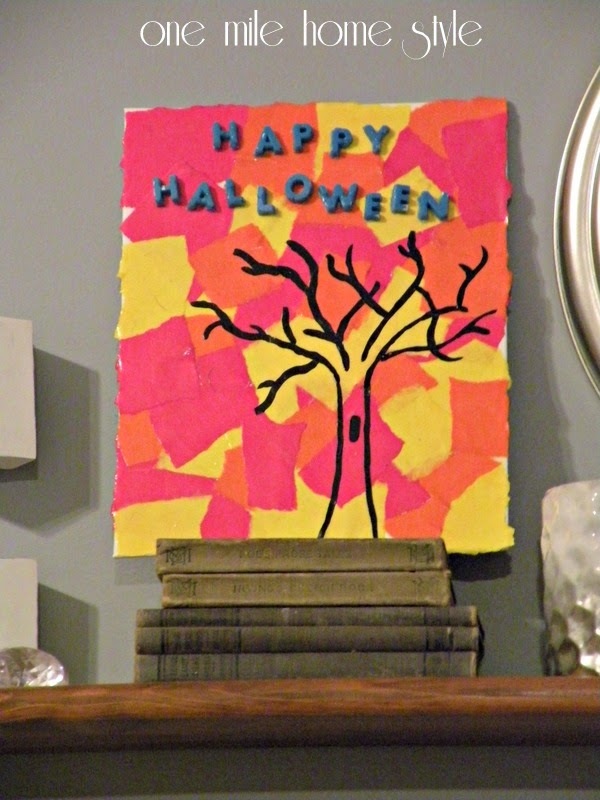 There is also new artwork that combines my fall colors with with some Halloween fun, it hides a festive surprise...but you will have to come back on Friday to see what it is! 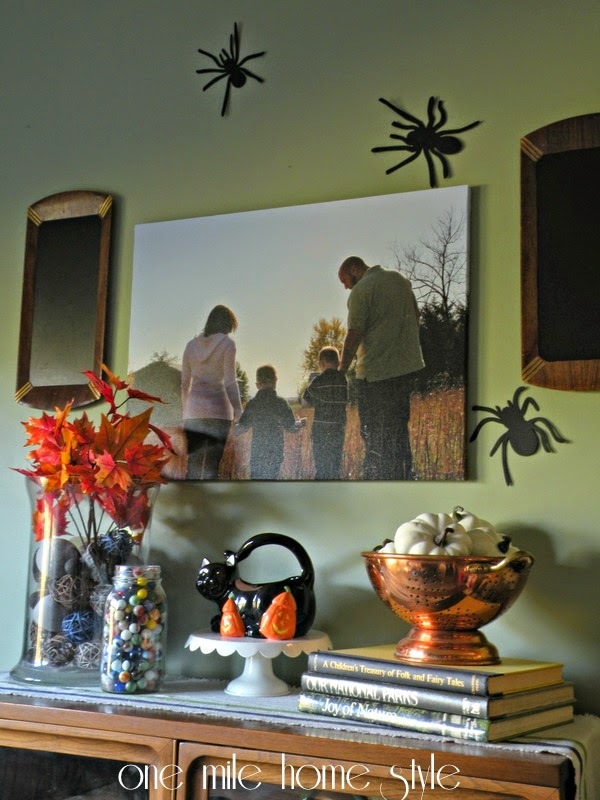 The best part of this transition is that is it easy to combine with the fall decor that is already up, and when Halloween is done, we are back to fall for a few more weeks. I like how you have mixed autumn and Halloween in a way that one doesn't dominate the other.